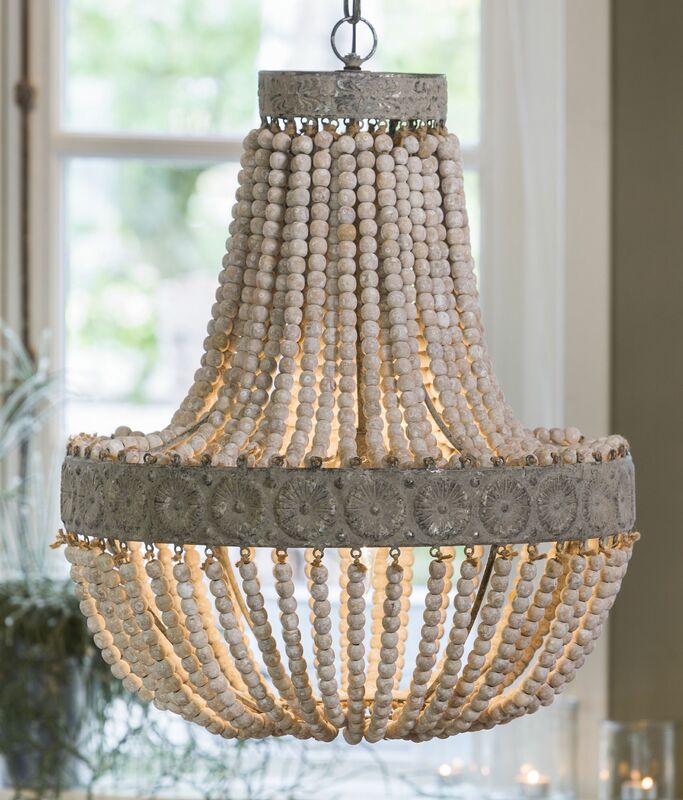 This showstopping chandelier is made by hand from hundreds of wooden beads that have been given an old white finish and looks beautiful lit or unlit. 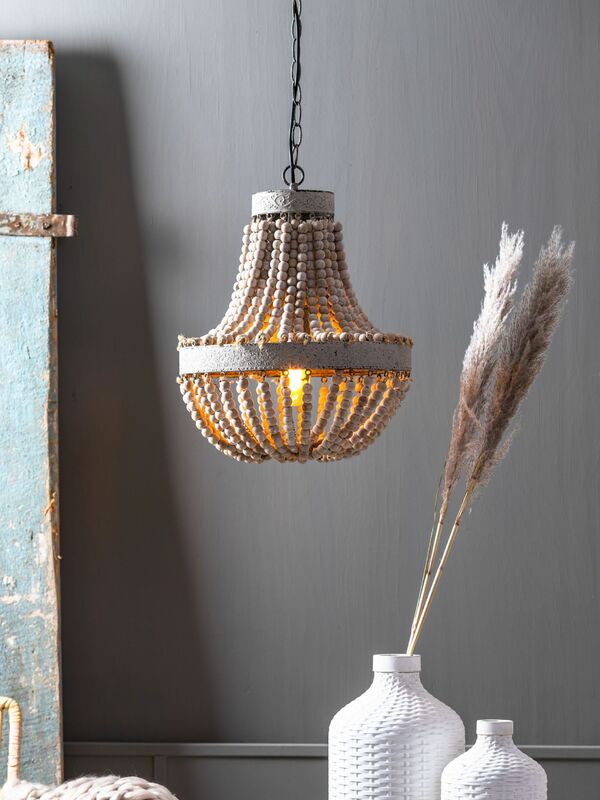 Perfect above a dining table, in an entrance hall, kitchen or bedroom. It comes with the matching steel ceiling rose as shown and 3ft of flex and chain link that can be shortened to any length.